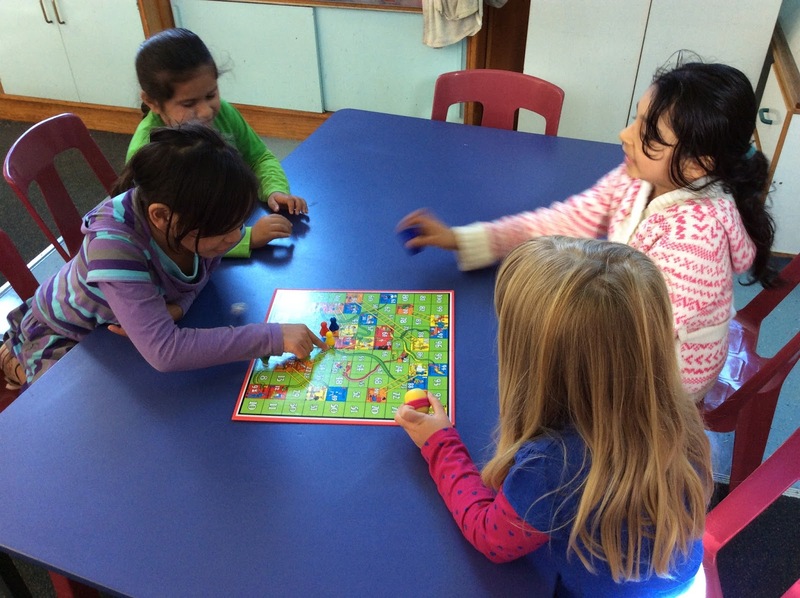 We have some new board games in our classroom. Hibiscus, Veishali, Jas and Sky enjoyed playing Snakes and Ladders. 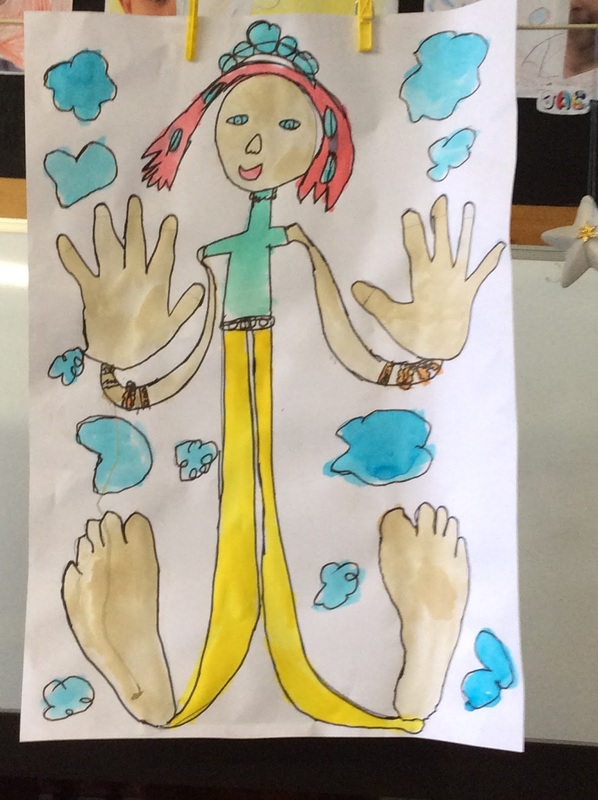 For art we created some new self-portraits for our classroom wall. 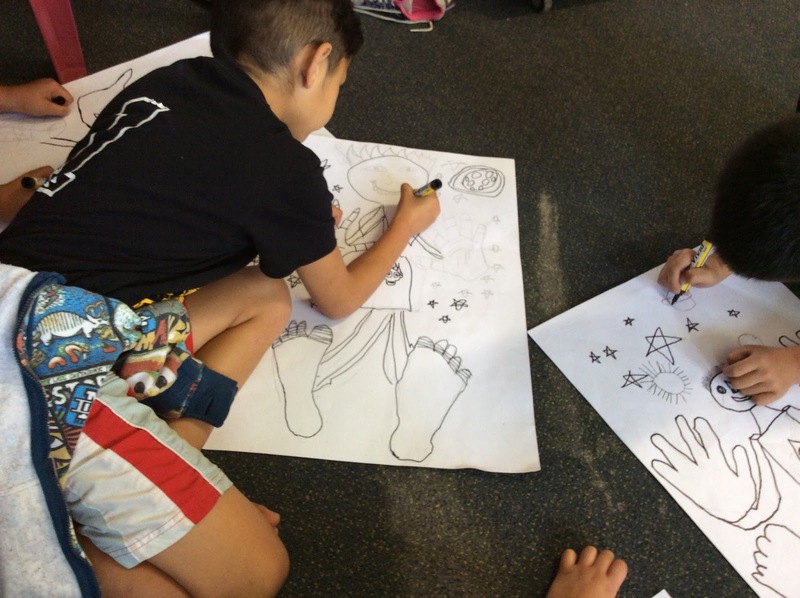 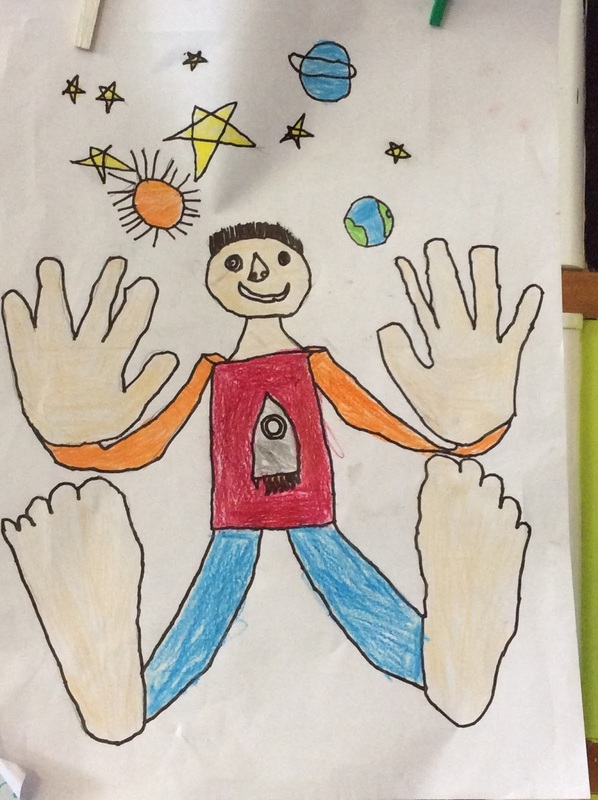 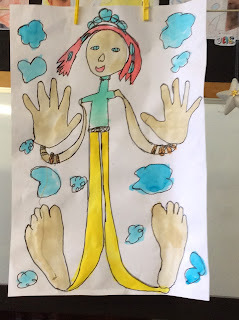 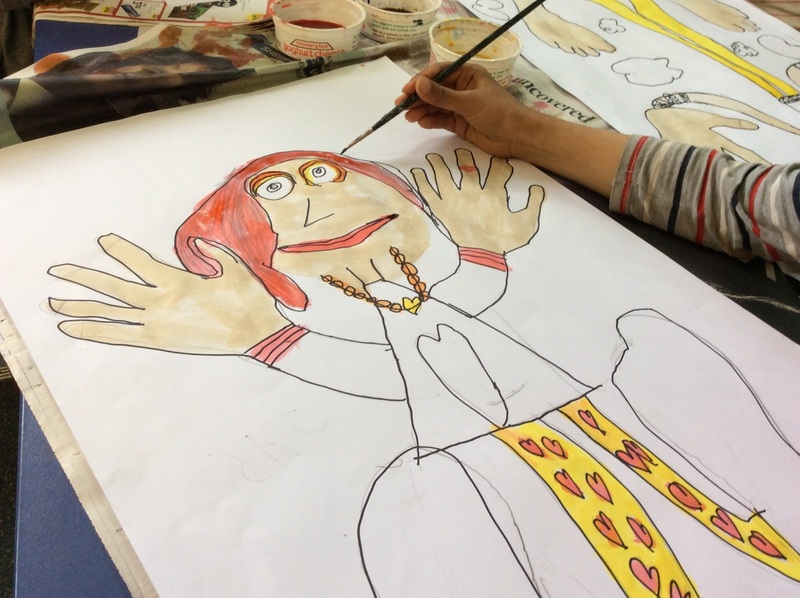 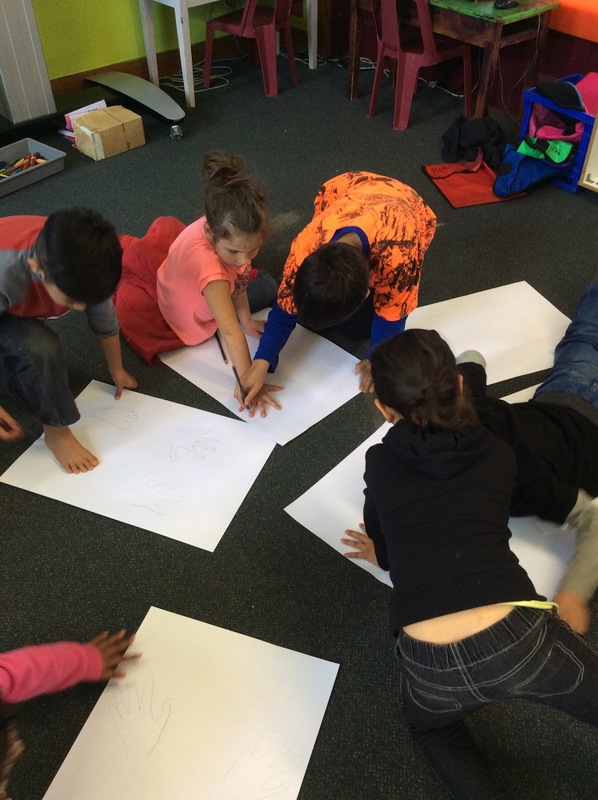 They are 'falling back in space' self-portraits as part of our Matariki inquiry topic. 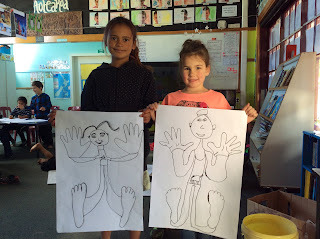 First we traced around our hands and feet with pencil - we made our pencils 'whisper' so it was easy to rub out if we made a mistake. 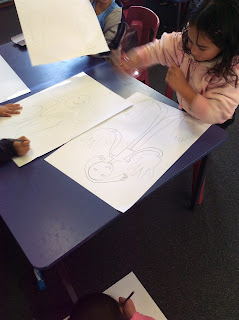 We helped each other with the tracing. Then we drew in our bodies. After that we copied over the pencil lines with vivid. 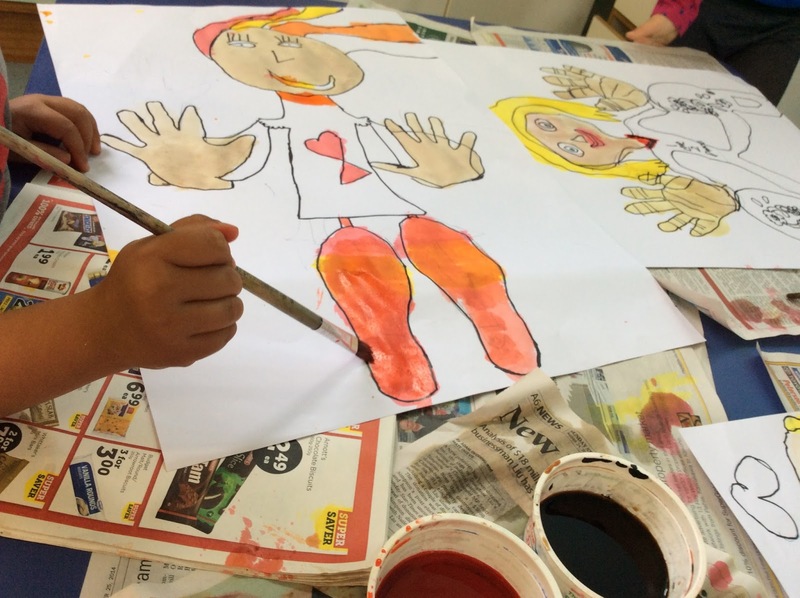 Finally, we coloured them in using dye.